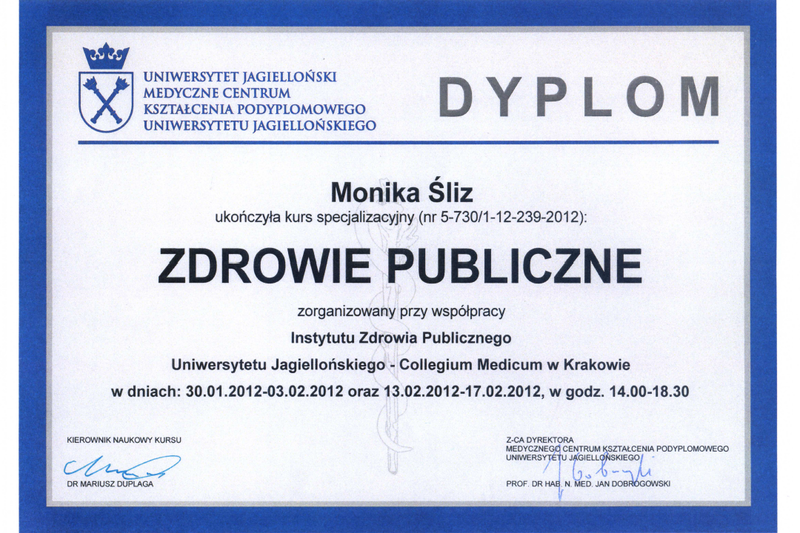 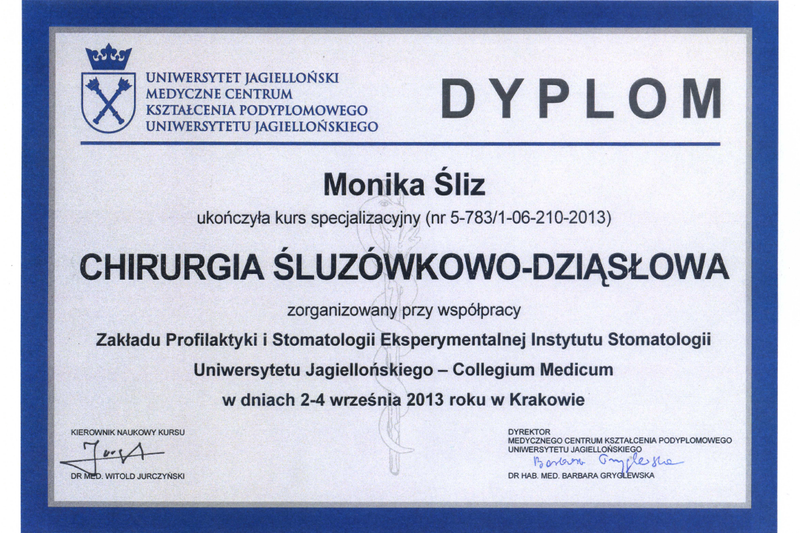 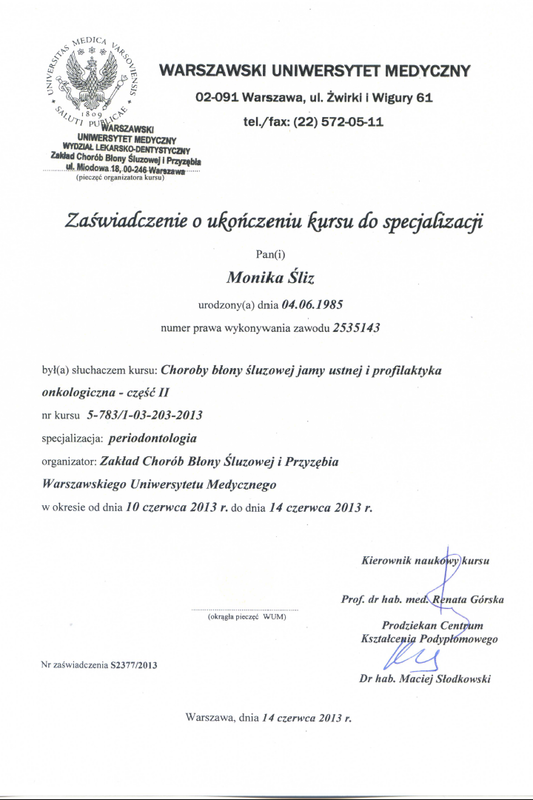 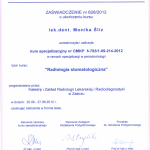 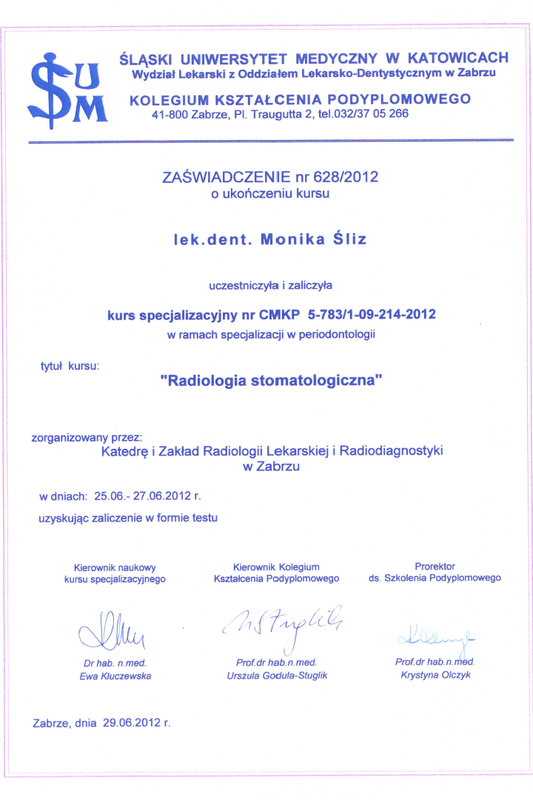 Doctor Monika Śliz graduated from Collegium Medicum, Jagiellonian University in 2009. 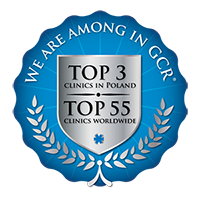 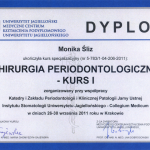 Upon completing her dental qualifications, Doktor Śliz undertook a one-year dental foundation training at Podgorze Dental Centre in Krakow. 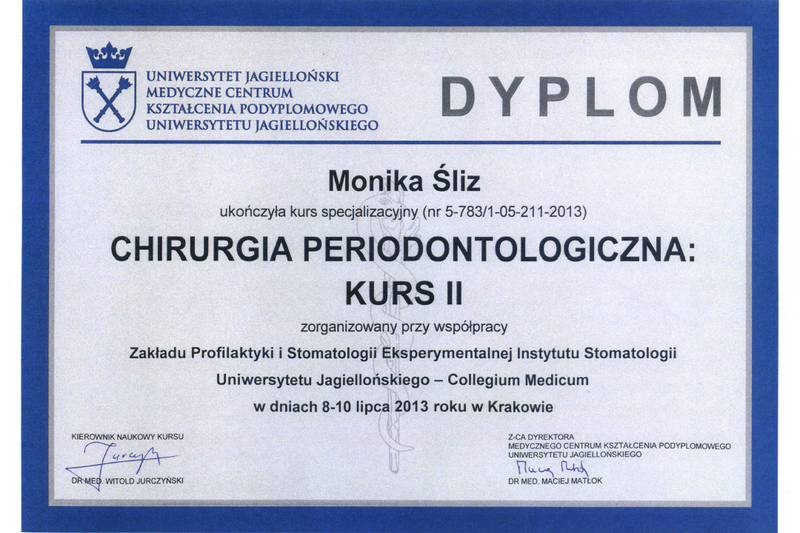 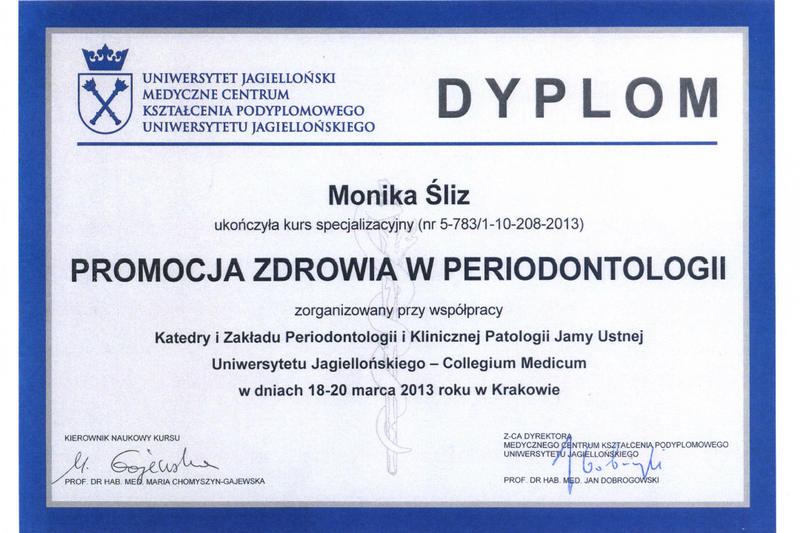 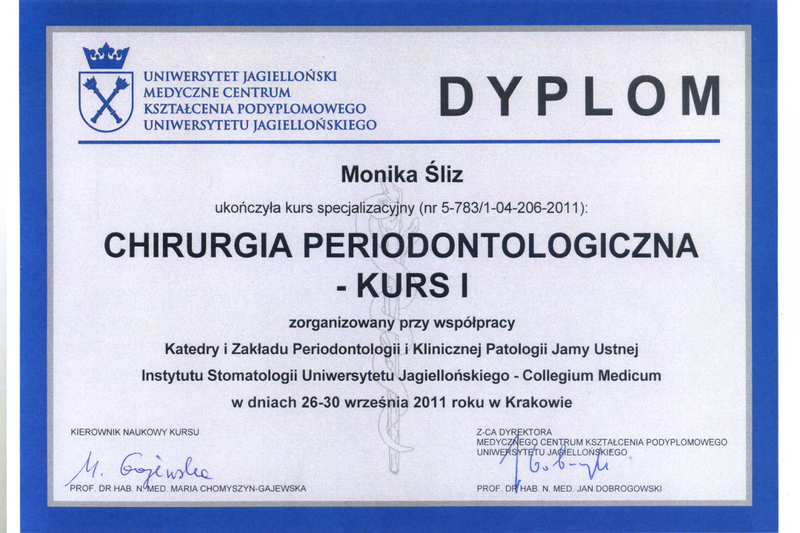 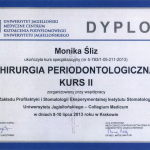 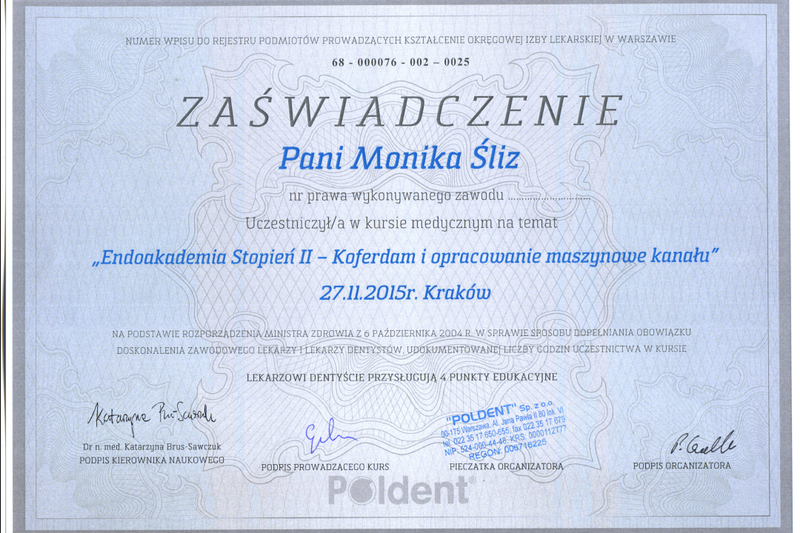 From 2011 to 2015 undertook Dr. Śliz a specialist training programme in periodontology, which she successfully completed in 2015 also at Collegium Medicum Jagiellonian University. 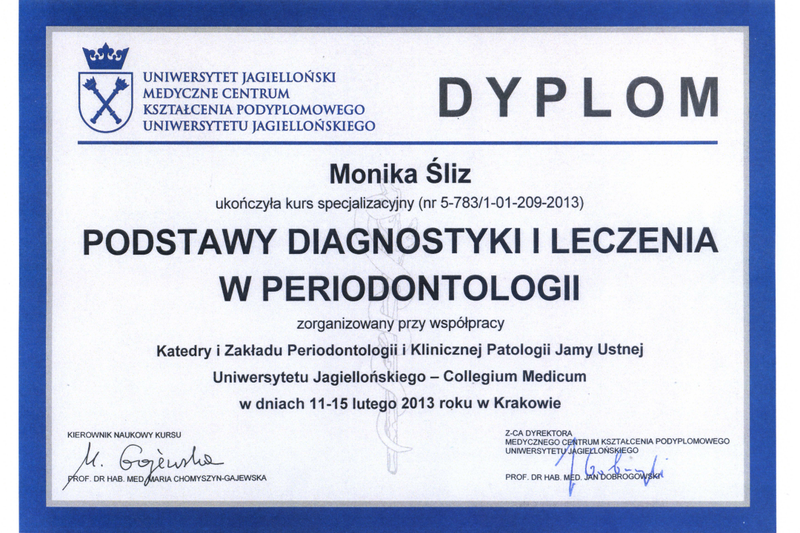 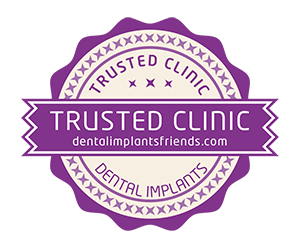 Dr. Śliz is a certified periodontist and specializes in prevention and treatment of periodontal diseases. 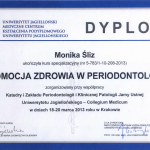 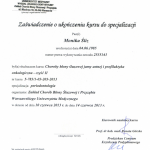 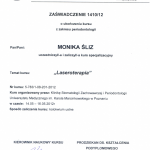 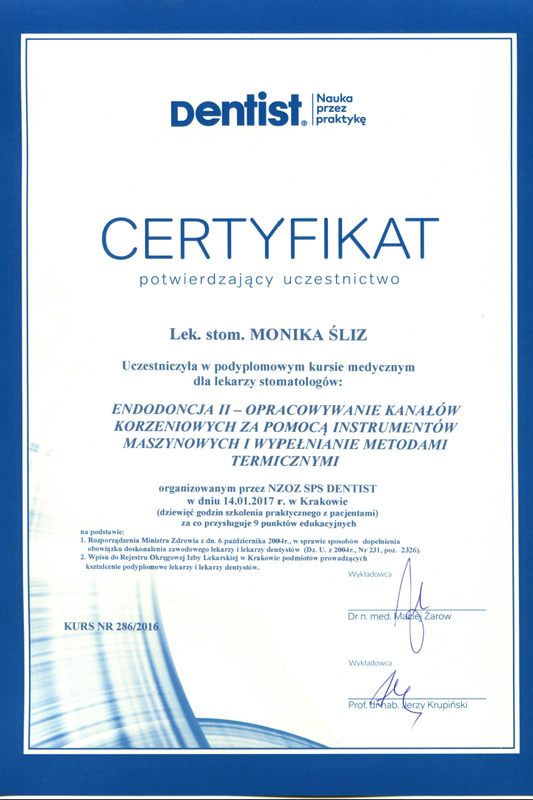 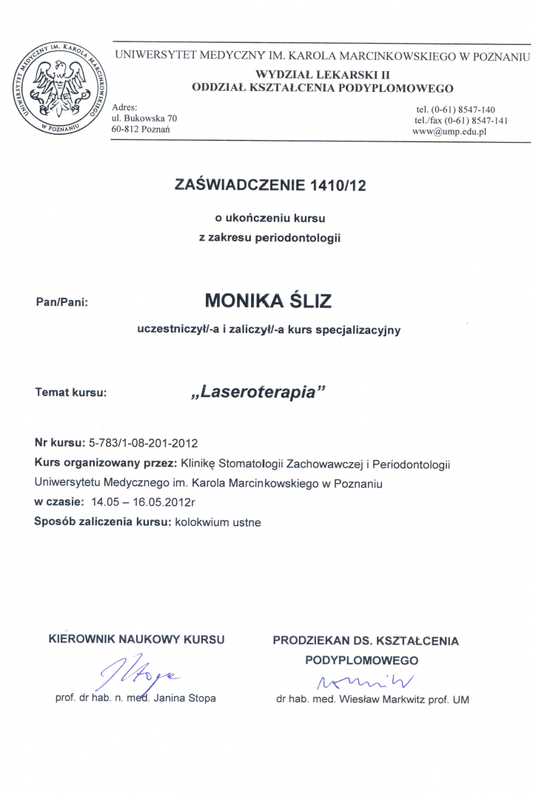 Dr. Śliz is a member of the Polish Dental Association.